This piece is 12 x 16, done on Cranson paper. I have it currently matted with the light teal/cream mat you can see with the picture. Jay Johnston is willing to sell this fantastic piece of art. 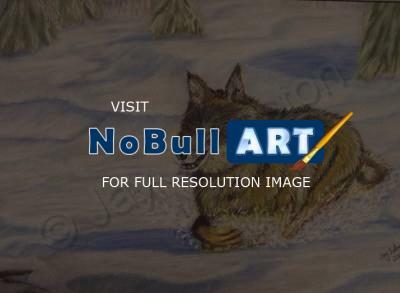 Pastel painting of a wolf on the chase for his dinner.